I know what you're all thinking. Just go and get some wool, but let's be honest. You don't always spawn next to sheep... Wool is not the only material used to make bedding, contrary to popular belief. I believe that they should incorporate several new designs for beds, because sleeping seems to be very difficult in this game. Being deprived of something so simple, just because you haven't found sheep seems quite silly to me. I fully support exploring the map, but just to lay your head at night is not why I adventure. Feel free to talk about spawn points, and the likewise. My idea is using bales of hay for bedding. It could be temporary bedding, you can do the hammock that has been suggested multiple times. Point blank, I can sleep on the floor if need be, but when there are plenty of materials lying around to make a bed we should be able to do so. I feel like I get held back from enjoying the game, because you don't always spawn next to necessary materials.Yes, you can sometimes find wool in a village, but you don't need to look that far for a place to sleep. Food yes. Villages yes. Strongholds definitely. A bed, no. Sleeping just seems a tad silly to me in this game. Feel free to explain to me why you think it should stay the same, or different variations. I feel like if we all contribute we can find a happy medium from the guys who want hammocks with 2 string and a stick, to the guys who prefer to never sleep at all. A wooden bed with a dirt mattress would be great to, although these ideas kind of sound like something that would be in a mod. If the comment helped, please THANK the post. You could use shears to clip grass, and weave it into a small mat. I wasn't being serious when I said laying on the ground. I don't think beds should be decorations, but I don't use bonus chests or mods. I was just wanting something to help get the game rolling. Thank you sir. I didn't realize you could craft wool from string. There could be an all wood bed, but its so hard you only sleep half the night. I've had no problem with anything other than a bed right now. I play through on survival mode, and this what I've done in an hour. Place to stay, fenced in area. Made a fishing rod, and found a spider spawner with some chests. 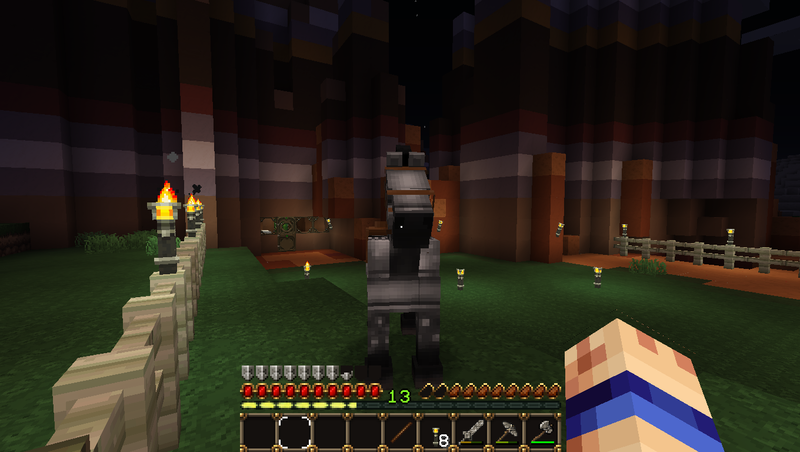 Now I have a horse, and some more saddles. I see a desert temple in the distance, and would really like to explore it. It's just been night time so I guess I'm a little biased on the subject lol. He was correct. I've made wool from string. I believe that they should incorporate several new designs for beds, because sleeping seems to be very difficult in this game. Right-clicking and automatically laying in a bed and skipping the night is difficult? I feel like I get held back from enjoying the game, because you don't always spawn next to necessary materials. That's not holding a player back, that's called a challenge. There's always gonna be some materials you don't yet have access to. I think this is kind of the "oh, let's add X for the players that don't want to use Y, so players don't have to get Y to do/craft Z thing/item!" suggestion. PSN: Why would i want PSN? Half support... Sheep are not that rare really.